A closer look at the benefits of working together, the evolution of a federation of aquaculture self-help groups and a one-stop aqua shop in rural West Bengal. India has the largest concentration of tribal population in the world. 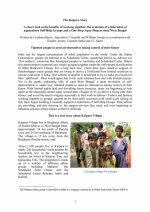 For a long time now, voices have been raised in support of disadvantaged social groups that are trying to derive a livelihood from limited resources in remote rural areas in India. 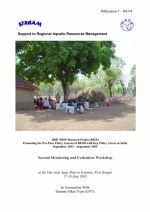 A closer look at the evolution of successful aquaculture self-help groups in rural West Bengal, the discovery of new uses for local resource systems and the energising effect of flexible rural credit. 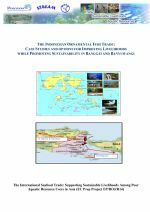 This report provides insight into the status of the marine ornamental fish trade in Indonesia, including policy environment, collection, chain of custody, distribution channels, markets and constraints. The report also reviews the livelihoods of poor stakeholders in market chains including economic and financial aspects, natural and physical resources, livelihood patterns, social structures. 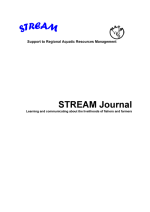 The report provides recommendations for policy makers and stakeholders in improving the livelihoods of poor stakeholders in marine ornamental fish collection and market chains. 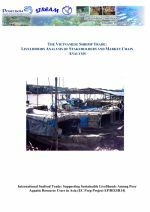 This report provides insight into the status of the shrimp trade in Vietnam, including policy environment, export capacity, production chain, distribution channels, markets and constraints. The report also reviews the livelihoods of poor stakeholders, including women, in shrimp market chains from input service supply, seed and broodstock supply, grow out, trade and processing. 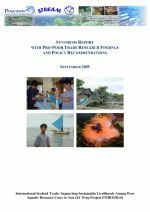 The report provides recommendations for policy makers and stakeholders in improving the livelihoods of poor stakeholders in shrimp market chains. 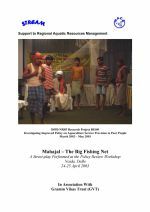 The purpose of the project was to investigate international trade in fisheries products and its relationship to poverty alleviation and livelihoods of poor aquatic resource users in developing countries in Asia, and to identify options to improve the effectiveness of poverty reduction through international seafood trade. The project directly addressed the EC-PREP priority area of trade and development, and indirectly provided valuable insight to two other priority areas: food security and sustainable rural development; and institutional capacity building. In this issue: One-stop aqua shops - an emerging phenomenon in eastern India. Ranchi One-stop Aqua Shop. Kaipara One-stop Aqua Shop. Bilenjore One-stop Aqua Shop. Patnagarh One-stop Aqua Shop. Using bar-coding in a one-stop aqua shop. About the STREAM Journal. About STREAM. In this issue: Changes in Jabarrah. Palu Hijau in the Banggai Islands - using knowledge for change. Three stories from Nepal. Me and my work. Livelihoods approaches - skills learned, applied and shared. About the STREAM Journal. About STREAM. This edition is also available in Ilonggo and Vietnamese. In this issue: Young people taking bolder steps. Providing a venue for voices to be heard. 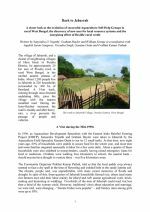 Rehabilitation of a bundu pond - STREAM's initiative and DOF's action. Coastal resources utilisation and conservation issues in Cox's Bazar, Bangladesh. People, fish and reefs - a livelihoods learning curve. Understanding the marine ornamental trade and its impact on the livelihoods of poor stakeholders in the Philippines. About the STREAM Journal. About STREAM. This edition is also available in Ilonggo and Vietnamese.